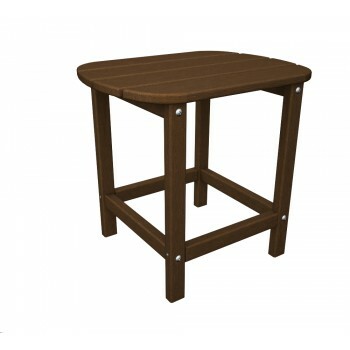 Polywood South Beach side tables are made of a plastic resin material that has been purified and UV Protected. Over 90% of the finished Polywood product is recycled plastic material. All fasteners are stainless steel to prevent corrosion. Polywood furniture is a long lasting environmentally conscious decision that looks great too. Alumispan Telescoping Leg Assembly 45"-65"